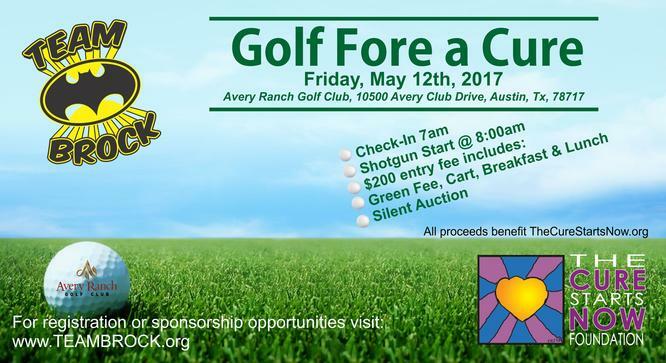 Team Brock is hosting their First Annual Golf Fore a Cure Tournament is being held on Friday, May 12, 2017 at Avery Ranch Golf Club. You may know the story of Brock Fleming, a 7 year old boy who passed away from a very rare type of pediatric brain cancer (DIPG). In an effort to raise money and awareness we are hosting our First Annual Golf Fore a Cure Tournament! Each hole is in honor of a child currently battling with DIPG or who has succumb to this horrific disease. Together…we can find a Cure!! Find out more about Team Brock.